Junior barristers should get themselves accredited for direct access work and act in cases where people are currently relying on paid McKenzie Friends, the incoming Bar Council chairman has said as he promised to promote direct access to the public. “The rise of the McKenzie friend beyond any function they were supposed to meet, is of great concern,” Alistair MacDonald QC said. Mr MacDonald said paid McKenzie Friends were not regulated and “many, if not most” were uninsured. “There is a website setting out the details of their fees. They range, as a stated maximum from £25 an hour in Cornwall to £100 in London with the majority at about £50 to £60 per hour. Giving his inaugural speech as incoming chairman of the Bar Council, Mr MacDonald called on “barristers, particularly at the junior end of the profession” to become qualified to accept instructions directly. “What I undertake is that, in 2015, we will act with vigour and energy to make it clear to the general public that the Bar can be instructed directly and to seek to do everything in our power to promote the instruction of barristers qualified to receive such instructions. By doing that, I am sure we can make a substantial difference”. Mr MacDonald said he did not believe in many cases that the Bar would be taking work from solicitors, and that “a substantial part of this work” would come from clients who would have used McKenzie Friends. He said there was also the “ability of the Bar to assist with only parts of the case” – a reference to unbundling. The QC went on: “In other words, to give advice only to the litigant with a view to helping them to concentrate on the points that really matter. “Or it may be that the barrister can be instructed only to prepare the bundles for trial, or appear without having performed the earlier work. After all, that is not dissimilar is it to what we have done for centuries. Mr MacDonald concluded: “The first mention of a barrister as such was in 1466. It is idle to suppose that the Bar would have survived and flourished since that date unless it had something unique to offer, something that no-one else could provide and unless, one way or another, it provided value for money to those who had need of the services of a barrister. 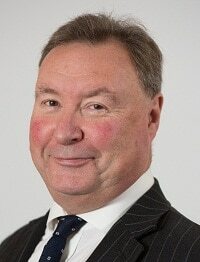 Mr MacDonald, who takes up his post on 1 January 2015 is co-head of New Park Chambers in Leeds, and a former leader of the North-Eastern Circuit. I’m inclined to recall the names Nicholas Mostyn gave to his piglets.